Estonian photographers were highly appreciated even abroad at the time. The display starts with very rare daguerreotypes, amrotypes and ferrotypes. Ch. Borchardt, B. Lais, the brothers Kristins and H. Tiidermann were masters of great renown at the end of the 19th century. Beginning from the early 20th century we can speak about photographic art already. J. and P. Parikas, N. Nyländer and Joh. Mülber exhibited their work at international contests and brought home several prizes. 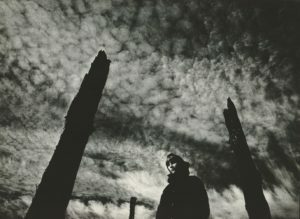 In addition to the photo collections, the visitor can get an idea about the development of cameras and the equipment of a studio and darkroom at the beginning of the 20th century. 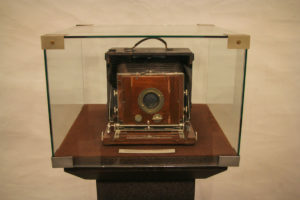 The display ends with the smallest of our cameras, the pocket-camera Minox that may seem as a toy but is a real camera. It was invented here in Estonia in 1936 but its production started in Riga in 1938. All the display has been made up of the items from the collection of the museum that is kept in the same buildings. The photo- and negatives collection contains about 62000 items, the old equipment collection 840 items and the library of books and printed matter on the history of photography over 1900 items. Every spring a new exhibition is made to show the visitors the beauty and character of Tallinn and to give a lot of people pleasant emotions of recognition.